Quick quick quick, read this and then drop Jean Hally an email. It’s going to be fun and you’ll be part of something great. Songs in the Key of D, a Choral Exploration of Dublin City, will take place during the Fringe Festival on 14 Sept in the Smock Alley Theatre. 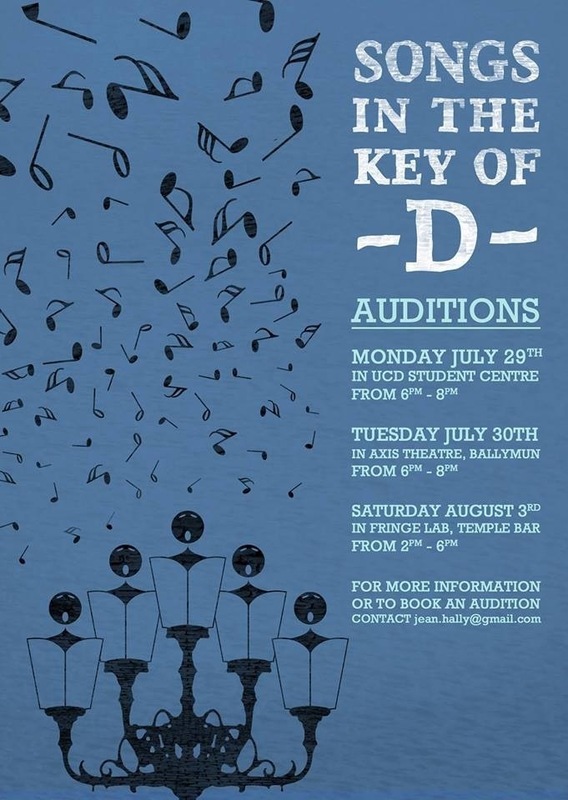 The organisers are looking for singers of all abilities to join them in performing some of Dublin’s best known songs and connect the audience to our city through song. Everybody who likes singing is invited to take part you don’t have to be from Dublin or Irish and you don’t have to a good singer (but I guess it would help if you can hold a note during The Auld Triangle). The choir is being set up set up to bring people living in all parts of Dublin together. Rehearsals will take place on the Sunday afternoons during August, with some extra rehearsals in the run up to the performance.